Glendale Shoals on Lawson's Fork Creek is just a few minutes from bustling downtown Spartanburg, but it feels worlds away from the city. 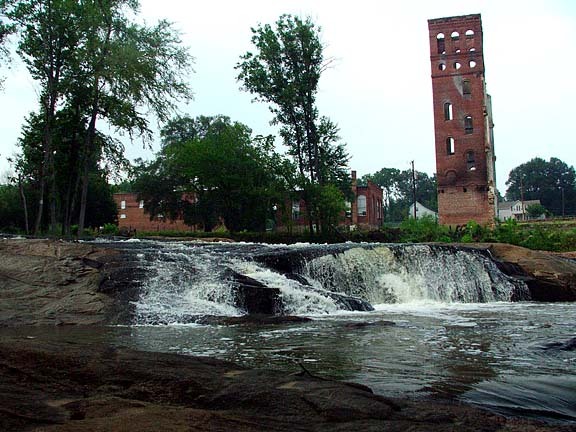 Glendale is a sleepy mill community with a long history in upstate South Carolina. 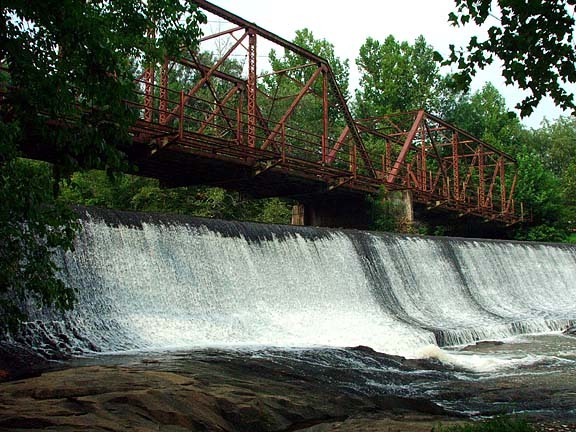 Some of the upstate's first industrial development occurred along and were powered by the shoals of Lawson's Fork (including a foundry during the American Revolution). Today, Glendale Shoals is focal point for groups interested in preserving natural beauty in Spartanburg County. Numerous partners (including SPACE, Upstate Forever, the Palmetto Conservation Foundation's Glendale Outdoor Leadership School and the Friends of Glendale) have teamed up to save this green space from development. The buildings, bridge, and dam are all that remains of the old Glendale cotton mill. 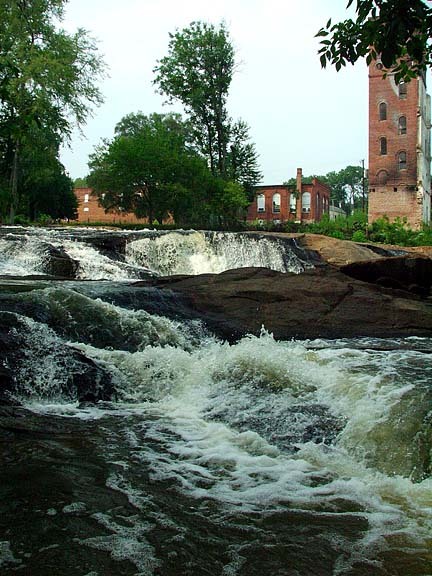 Future plans include a hiking trail on the mill-side of the creek, repairing the bridge, and restoration of the mill pond. For more about the history of Glendale, check out this website. From downtown Spartanburg, take South Pine Street about four miles to Dogwood Club Road. Turn left onto Dogwood Club Road and follow for one mile to Whitestone Glendale Road. Turn left onto Whitestone Glendale Road and follow for half-mile to Emma Cudd Road. Bear right and park at the bridge or at the flower sculpture. Steps to the right of the bridge descend to Lawson's Fork Creek. Follow the creek downstream to falls. You can also drive a quarter-mile down Emma Cudd Road to a small community park (located on the left) with a picnic shelter and tables. 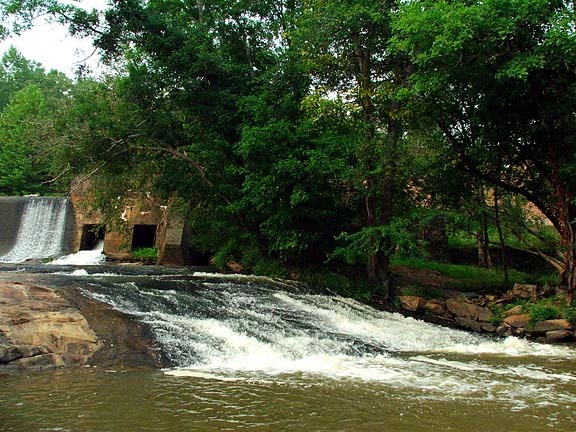 From there, follow the creek upstream to the falls, dam, and bridge.